If you have a special situation and do not see an option that fits you, please contact us and we’ll work to accommodate your needs. These prices reflect our peak afternoon hours (11am-5pm). Walks before 11am, after 5pm or on weekends will be an additional five dollars. 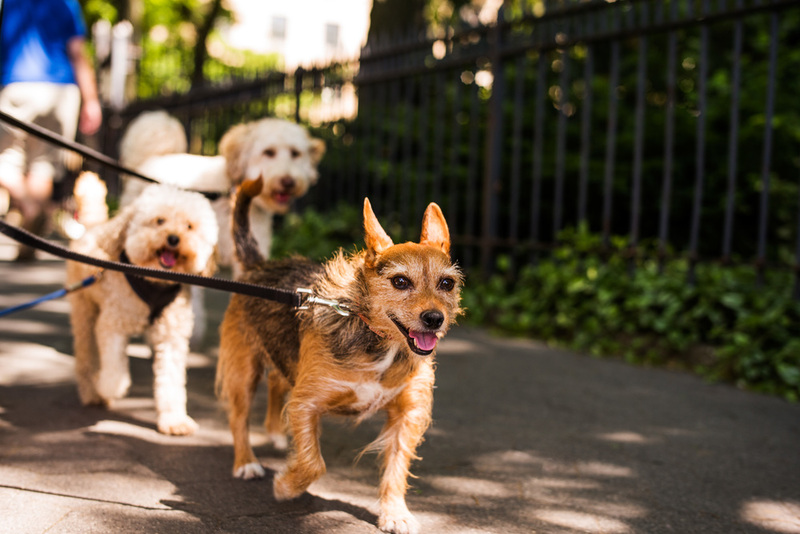 Our boarding includes a 24-hour period with 3-4 walks. Any partial day, up to 12 hours, will be billed at $45. In order to maintain the cleanliness and ensure your dog's comfort and care, there is a supplemental boarding fee of $15 per 24 hour boarding ($10 per any partial day, up to 12 hours) for puppies, elderly and incontinent dogs. Discounts are available for additional dogs from the same household. In addition to feeding, walking and caring for your dog, we’ll check mail and even water plants and feed the fish. Please note that overnight in-home Dog Sitting includes evening walk, sleep over and morning walk. Midday walks are additional as per walking rate schedule above. Discounts are available for additional dogs from the same household. Have a lovable, but sometimes difficult canine companion. Our behavior specialist will come to your home, evaluate your dog, and demonstrate the techniques necessary to guide your dog in a way that is easy for any dog to understand. Sessions are conducted in a relaxed informal atmosphere in the comfort of your home. Manhattan: We provide services in the Borough of Manhattan. There is a fee of $2.50 per walk added to all Pack Walks and Individual Walks rates listed above. Dog Boarding, Dog Sitting and Behavior Modification rates remain the same. Holidays: We can accommodate holiday Pack Walks, Individual Walks, Dog Sitting and Dog Boarding. There is a fee of $7.50 per walk added to afternoon, weekday rate for all Pack Walks and Individual Walks rates ($15 per night for Dog Sitting and $15 per 24-hour period for Dog Boarding) charged on these holidays: New Year's Day, New Year’s Eve, Easter, Memorial Day Weekend, Presidents Day, Independence Day, Labor Day Weekend, Thanksgiving & Black Friday, Christmas Eve and Christmas Day.